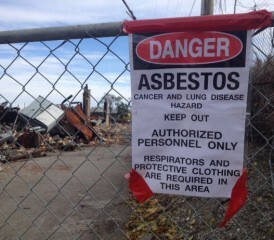 Will New Asbestos Warning Labels Save More Lives? The Occupational Safety and Health Administration (OSHA) is the U.S. federal agency responsible for the enforcement of health and safety in the workplace. 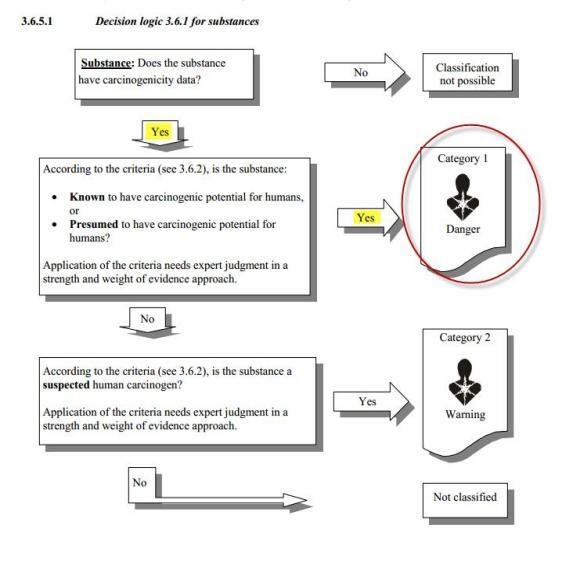 The administration has specific requirements for labeling chemical hazards, and is the body that regulates asbestos reporting. 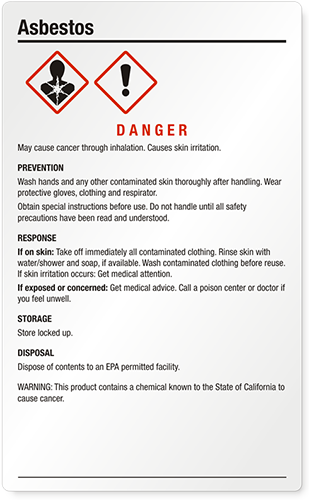 In early 2012, OSHA decided to align all hazard communications, such as warning signs and labels, with the GHS standard. Iraqis in the Kirkuk province. The creators of the GHS hope that the system will promote awareness, and prevent the severe consequences of asbestos exposure. Alex Roitman is the Outreach Manager for MySafetySign.com.He routinely works with nonprofits and safety professionals to spread safe practices and accurate messaging. He hopes more effective hazard communication and signage can prevent serious injuries and save lives.